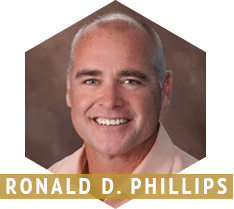 Ron Phillips is a native of Sussex County and has been a Delaware lawyer since 1994. After attending college at Elon College in North Carolina and Widener University in Chester, Pennsylvania, Ron attended Widener University School of Law in Harrisburg, Pennsylvania. Upon graduation, Ron wanted to return to Delaware in order to serve the community he grew up in. Ron first worked as an associate for the law firm of Hudson, Jones, Jaywork, Williams and Ligouri and practiced out of the firm’s Dover office. In 1998, Ron became a partner with the firm and was the resident managing partner of the Georgetown office from 1998 until 2003. In 2003, Ron left the firm to open his own office in Georgetown which ultimately led to the formation of the Law Offices of Murray, Phillips & Gay. Ron’s current practice centers almost exclusively on criminal defense and he has successfully defended cases ranging anywhere from murder to simple traffic tickets. As a lawyer, he believes that every person is entitled to be treated fairly and with dignity regardless of the charges they face. He understands that when a person is accused of a crime, the entire weight of the judicial system can come crashing down on that person and often Ron is the only one who can protect his client from an unfair conviction or sentence. Ron relishes the role of the underdog and the opportunity to protect his client’s from unfair accusations. 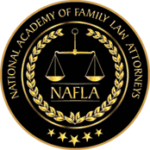 He takes his role as a defense attorney extremely serious and seeks to provide his clients with honest, candid and useful advice tailored to the specific needs of each client. He believes each and every client is entitled to the best representation, regardless of the crime charged. As a lifelong resident of Delaware, former high school and college athlete, and a veteran lifeguard, Ron’s personal interest center around salt water activities and sports. He loves surfing, boating, the beach, football, and spending time with family, and friends, usually culminating with a cold beverage. When not in Court representing his client’s, you can be sure to find him engaged in one of those activities. Learn more about Ron’s commitment to Team Surfgimp. If you want an attorney who is a down to earth, understanding and passionate advocate, contact Ronald D. Phillips.